I remember how excited I was after completing my first naturally leavened artisan bread. As shown in the photo above, obviously, the loaf didn’t have enough oven spring and it would proudly have a highly elevated ear otherwise, because I was kind of nervous about proofing so as to keep moving the dough out of and from the refrigerator. 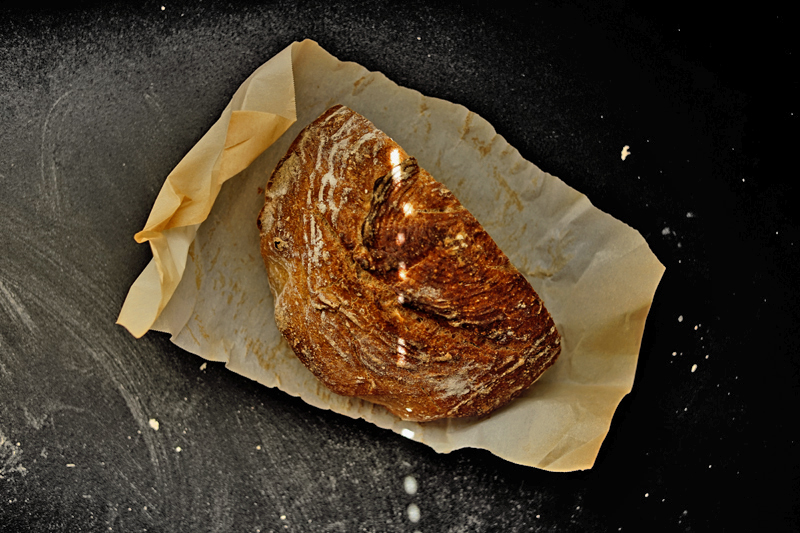 Still, it was a very rewarding experience from which I found the online “rumors” about sourdough bread are quite convincing about its better taste than the bread using commercial yeast. I remember how many frustrations I have experienced from seeing failed bread, pale and flat, once opening the oven door. I am still a beginner on the long way to a perfect loaf, but I become a little bit more confident on reading dough. A failed loaf of bread will not frustrate me that much as I gradually realize that a dough normally stays unpredictable until you really become a master bread baker. After I have been doing this for a while, I found that this hobby not only eats, if not all, at least a majority of my leisure time, but also put me into frustrations a few times. So, I said to myself, “Should I continue this hobby? Or stop it for some time?” When I reflected back on the days I spent with flour, water and yeast, a flow of pleasant moments ran out from memory, the joy of seeing the oven spring, the delight of smelling freshly baked bread, the hollow sound from knocking the bottom of loaf, warm and chewy crumb in mouth, and taking portraits of my loaves and outlining both success and failure. In addition, I found some other attractive things behind artisan-bread making, which I actually want to know more. Therefore… I have decided to continue hanging out with dough. lol. Contact me if you are interested in tasting a rustic loaf of artisan bread. Finally, I will start the topic “Why making bread by myself? Why not using a bread machine?” Continue reading the rest, if you like. The remaining part consists of the following three posts. If you are inclined to continue reading the rest, you may proceed to Part 1. Why Making Bread by Yourself? 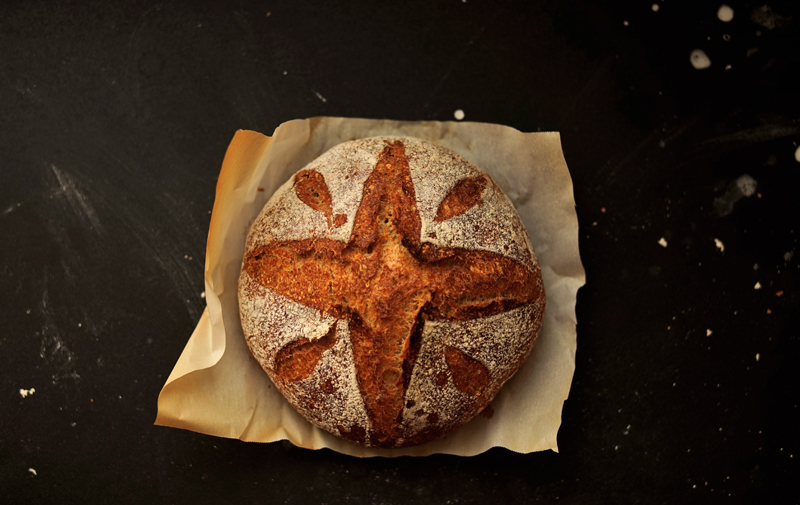 Why not Using a Breadmaker Machine?